During a 3 week residency, Annette Nykiel slowly transforms Spectrum Project Space into a making place. An exhibition emerges, created from piecing together gleaned fibre, fragments of found objects and handmade textiles. The resulting assemblages evoke the non-urban spaces where the materials are gathered or made during sustained fieldwork. The maker spends many hours, observing, and wandering in the bush and along the coast. Her experience becomes a slow tactile place making that asks questions of the relationships between the maker, her materials and the place. 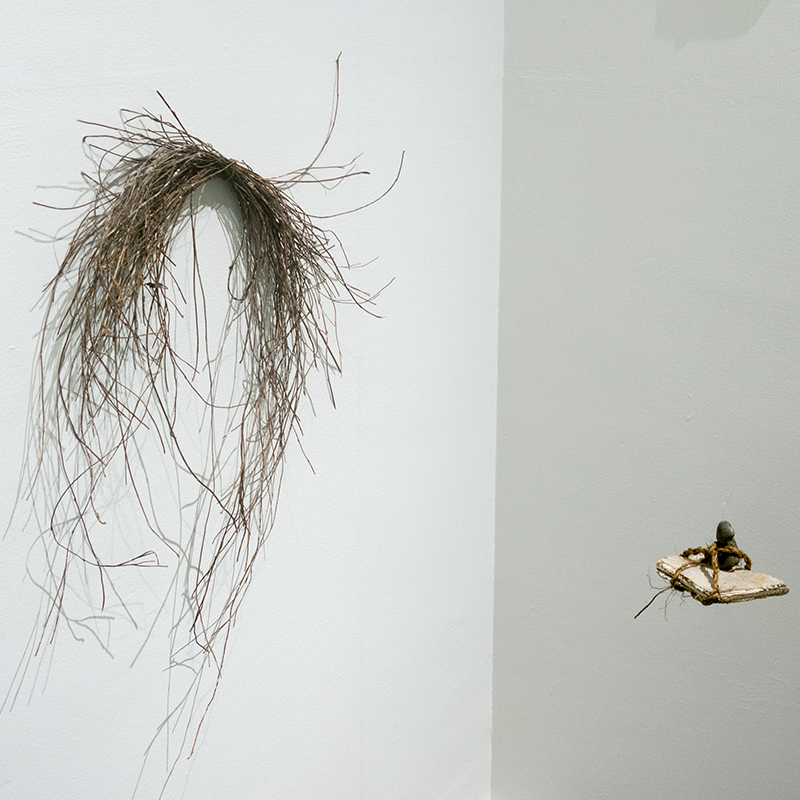 Narratives and assemblages emerge from plying plant fibres and cloth, which are pieced together with found objects. The emerging assemblages bring with them, a sense of the non-urban and transform the gallery space into a map. Annette Nykiel is a socially engaged bricoleuse, a maker, and a practice-led researcher, exploring questions of the Country. She is interested in raising the awareness of the value and importance of relating to the materiality of non-urban spaces. These spaces include regional places where she takes images of the ground between her feet and gleans material for fibre and textile works while practising in her field studio. Annette wanders between urban, regional and remote areas in a variety of roles as a geoscientist, arts worker, maker and workshop facilitator. Her textile, fibre and photographic works are held in the John Curtin Gallery, Artspace Mackay and numerous private collections She has exhibited in a variety of spaces in Perth, regional Australia and online.